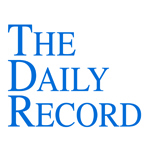 This week's Daily Record column is entitled "The Legal Profession and the Recession." What was once a fearful prediction is now a disturbing fact: Our country is in the middle of a large-scale recession. By the end of November, the unemployment rate reached 6.7 percent, the highest rate since 1992. At the end of the first week of December, unemployment claims increased to 573,000, a level not seen since 1982. Layoffs are occurring throughout the country, and some experts predict that the recession will continue through 2009 and will be the worst economic slump in the post-war era. Unfortunately, the legal profession has not been immune from the effects of the ailing economy. In recent months, an increasing number of large law firms have laid off attorneys, including McKee Nelson LLP (17 attorneys); Orrick, Herrington & Sutcliffe (40); Brown Rudnick (20); Mayer Brown (33); Proskauer Rose (35) and Seyfarth Shaw-(30). Mid-sized law firms are beginning to follow suit and have laid off significant portions of their associates. More firms most certainly will follow. I also suspect that a number of large firms will fail as a result of investing firm profits into risky business ventures. The recent arrest of Marc Dreier, founding and managing partner of Dreier LLP, likely is the tip of the iceberg. Dreier’s arrest was based on allegations of defrauding more than $380 million from various hedge funds and investors. In a related civil case, the U.S. Securities and Exchange Commission claims Dreier stole $38 million from a client escrow account. I wouldn’t be surprised if it’s discovered such action, at least in part, was a last ditch effort to replace firm profits lost due to questionable investments in securities that lost value as a result of the collapse of the real estate market, and subsequent stock market declines. As more firms suffer losses due to the recession and bad investments, more attorney layoffs will occur. In the next year, the legal market will be saturated with a large number of younger attorneys, many from Gen Y, and a good number of Gen Xers as well. These younger lawyers entering the legal job market either right out of law school or as a result of being laid off, will be perfectly positioned to enter the new global job market —they’re innovative, flexible, independent and technologically astute. The recession, coupled with rapidly changing technologies, is leveling the playing field. Business is being conducted across a global economy in ways never before imagined. Technology and the Internet are altering drastically the ways in which business is conducted. The legal profession is not exempt from such trends, and younger lawyers undoubtedly will find creative ways to take advantage of, and profit from, the changing legal landscape. Accepting change can be difficult, especially in a profession such as our own, which is steeped in tradition and extraordinarily fond of precedent. Resistance to inevitable change is futile, however, and counterproductive. Economic and sociological forces beyond the legal profession’s control are altering the very tenets upon which it is based. We cannot stop change, but we can learn from the generation that is poised to take advantage of the technologically-based world in which the legal field now operates. Exciting changes are on the horizon for our profession. I, for one, can’t wait to see what tomorrow will bring. Nicole, I agree with this column wholeheartedly. 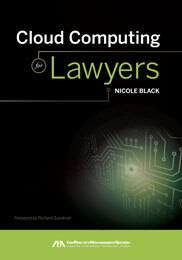 If anything, lawyers are capable of retooling and learning new areas of law fairly fast. Thus, since this recession may reduce opportunities in corporate law, M & A, etc., it may offer new opportunities in bankruptcy, litigation, and probably many other areas. In order to succeed, we need to think strategically and not be afraid of change.